The Germans did it years ago. Now the Dutch Finance ministry pushes plans ahead for introducing a tax on aviation. If done, it would severely impact cargo operations both in Amsterdam and Maastricht. Even worse, the latter may be forced to abandon the full-length use of its runway. 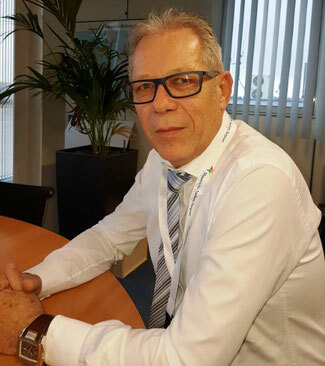 According to Rogier Spoel, air cargo advisor to the shippers and exporters’ organisation Evofenedex, the Finance ministry has been studying three scenarios for the introduction of an aviation tax. The first one - a pan-European regulation – has been shelved for the time being. The other options are a €7 per passenger tax – excluding transit passengers – or/and a tax on aircraft. According to the calculations made by the ministry the passenger tax could yield some 175 million euros, 45 million short of the 220 million euro the ministry is counting on. “These 45 million euros should then be borne by the cargo carriers, which only make up a mere 3.5% of the total number of flights,” Mr Spoel says. Mr Spoel thinks that it will be very difficult to match the MTOW to the level of pollution and noise. Evofenedex also fears a mixed assessment system of individual passenger taxes on the one hand and aircraft weight taxation on the other. Since 1 April 2017 Maastricht Aachen Airport’s 2,750 m runway may be used at its full length, allowing the airport to accommodate larger and heavier aircraft. Before that date the use of the runway was limited to 2,500 m.
Last week the Minister of Infrastructure and Environment Ms Cora van Nieuwenhuizen put an end to this toleration policy, based on a decision of the Province of Limburg, which is also the owner of the airport. Apparently new methods for the calculation of the noise profiles of aircraft have revealed that the former methodology was tailor-made for passenger rather than cargo aircraft. The full-length use of the runway enabled MST’s management company TCGI (Trade Centre Global Investments BV) to attract more cargo business. In the light of the slot scarcity at Amsterdam-Schiphol Airport, MST and Ms van Nieuwenhuizen had also identified MST as a viable alternative to keep air cargo activities within the Netherlands.